A familiar welcoming air, blaring horns, human jams, rickshaw jams, electrical wire jams overhead, howling porters and the one providing you most extraordinary yet humble street food is how Skeeter would describe her Old Delhi. A city in its own right, studded with potholes, covered with grime, buzzing with noise, it is Skeeter’s Hogsmeade in her own backyard. 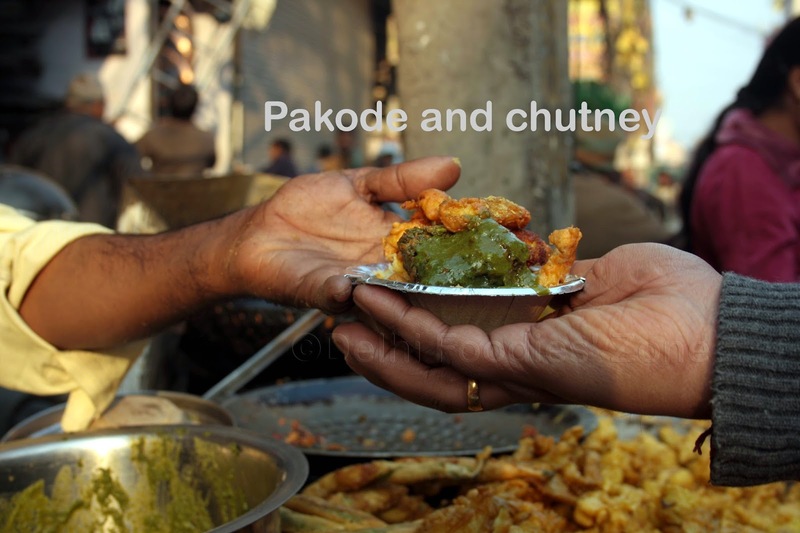 From the time fellow blogger Pamela Timms signed a book deal on Old Delhi with Aleph, to the poll for the best name for the book and the pre-book era when Pam would wander, hog and write about her experiences on her blog: Eat and Dust, Skeeter has been following it all. There are two reasons for the same: 1.Pam’s guide to Old Delhi’s best is Skeeter’s idol as well. 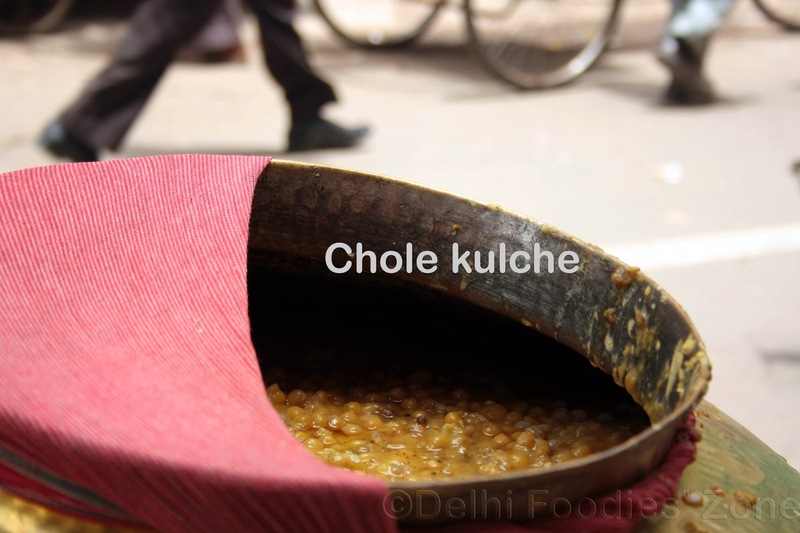 For, without Rahul Verma’s columns on Old Delhi Street food, Skeeter would’ve had lesser culinary revelations. 2.To read about your beloved through another’s eyes makes you fall in love all over again. This is not really a book review. Here, Skeeter speaks more about what she liked than what she didn’t as there was hardly anything that Skeeter didn’t quite like except maybe the choice of cover photo and one missing line that could’ve revealed what happens to Daulat ki Chaat after the ‘right amount of dew’ graces the bowl it is set in. 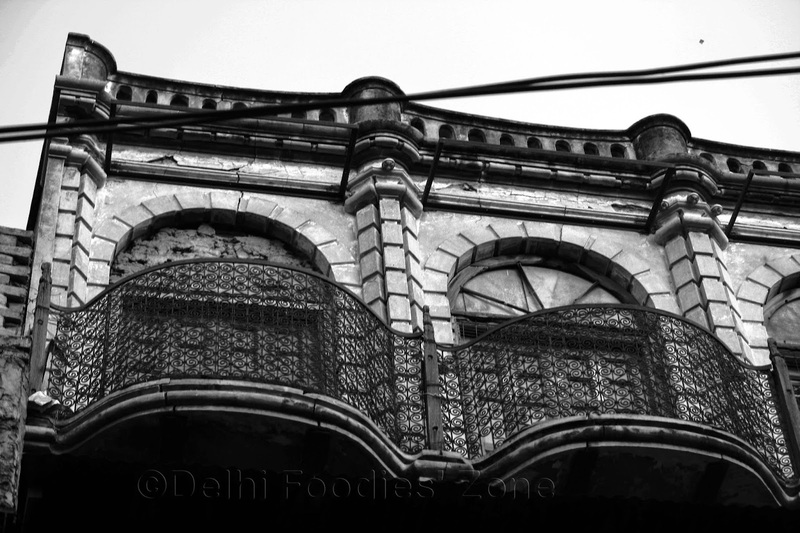 However, the not-so-pleasant details of how and where it is made in Old Delhi more than makes up for it. Pamela even parted with Rs 5000 and braved her way (alone) through the kuchas to see it all with her bare eyes on an early winter morning and shared it with readers. Pamela Timms has recorded an year’s worth of eating in and around Old Delhi, with a trip to Amritsar to dig the secret of the flakiest kulcha she’s eaten at Baba Singh’s shop: All India Famous Kulcha and another, to Madhya Pradesh where she got versed with some age-old Diwali rituals around food, dairy and more. Korma, Kheer, Kismet begins with what was the Gali-Mohalla gossip about Ashok and Ashok in Sadar Bazaar. 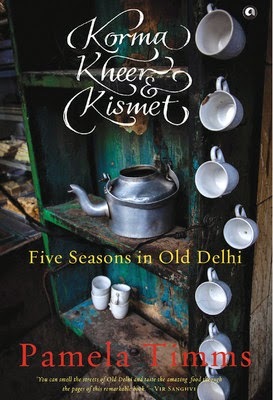 They sell the best Mutton Korma in Delhi, according to Pam and hence the name Korma, Kheer, Kismet. Pam reveals how she cracked the mystery of the lineage of Ashok and Ashok and when she was happy, her bubble was burst by someone who debunked her theory and had a different tale to tell. She describes early morning business at Khari Baoli beautifully and is “mesemerized by the magnificent Mahyem of the spice market.” She also writes, “A common souvenir of a trip to Old Delhi is a set of bruises from collisions with market porters.” This is something any Old Delhi lover would undoubtedly have to sport. Pamela’s narrative wades between seasonal produce (her tryst with jamun, falsa, shehtoot and so on), seasonal chaat (shakarkandi), festivals and festive food (Eid, Ram Navami, Diwali) as well as her endless efforts to extract recipes of some of her favourite dishes. She is aware that the people who share recipes give it all except one key ingredient. This book is no ordinary documentation of food through the eyes of an expat. It is abound with love, nurtured with experience and an exploratory spirit. Pamela rightly traces the food and its prices to labour class toiling hard for a measly sum and then spending a little out of it on a plate of chaat that would provide them nourishment (kulle for fibre, ram laddu for lentils, alu tikki for winter warmth, kulfi to deal with atrocities of summer). The spice enlivens the meal and prevents them from eating more and satisfies them as well. Pamela traces some bakeries making rusks and explores their British connection and gets thrilled at sighting macroons in Old Delhi. 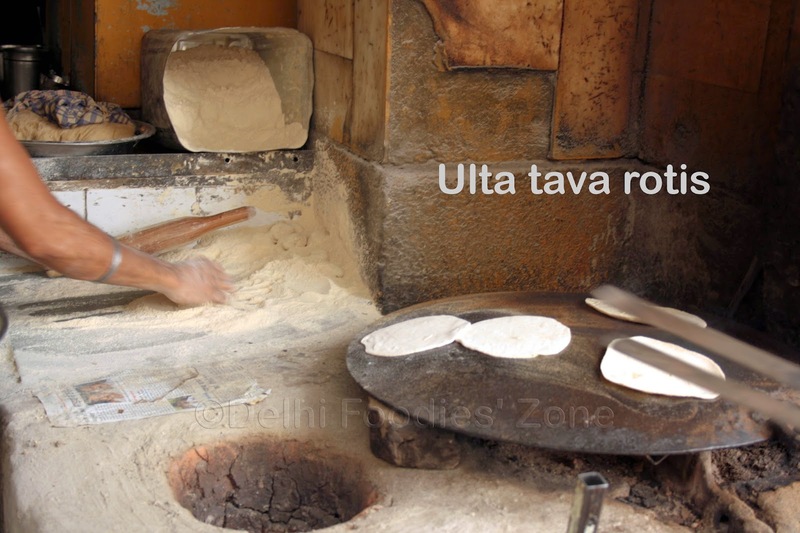 She also visits the Walled City at odd hours to see people making some of her favourite foods. 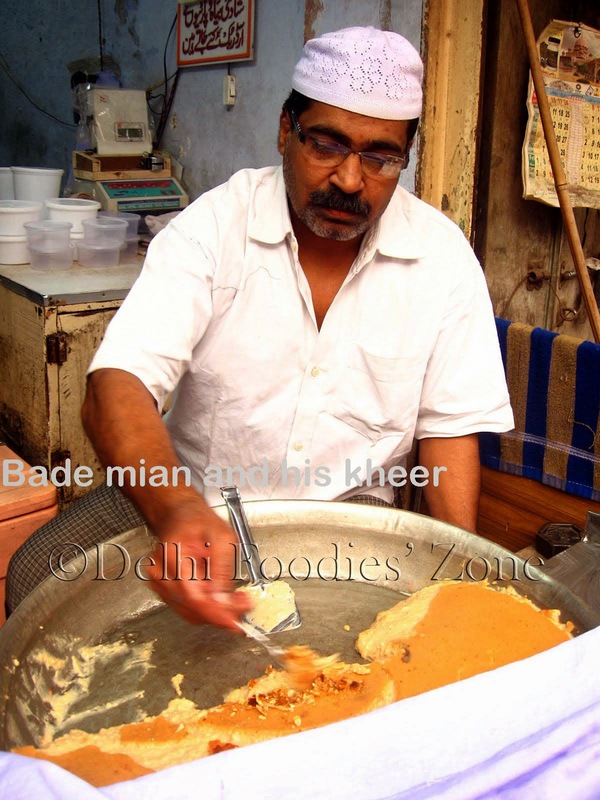 Daulat ki Chaat and the unhygienic conditions it is made in being the most dramatic one. She’s no stranger to Delhi’s history of ice-cream as she writes about transport of ice from the hills to the capital for the Mughal rulers’ pleasure. 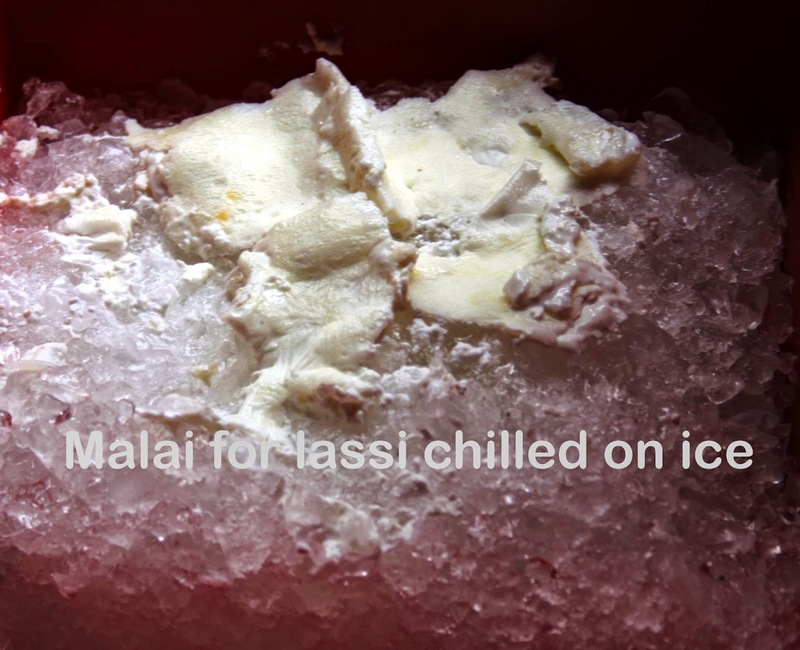 Many establishments still use ice instead of freezer to chill stuff like malai and prevent it from going sour. Sheer Khurma, Shakarkandi, Tikki, Tamarind sauce, Ashtami chana, halwa, Old and Famous jalebi recipes laboriously collected by Pamela maybe well worth trying at home but as the author concludes at the end of her book that the “hath ki baat” and the perfect taste is reflected in your cooking after making the same thing day in and day out a several thousand times. She also shares Akbar’s Kabab and Biryani recipes from Ain-E-Akbari. From getting excited on spotting an elephant on roads on touchdown in Delhi in 2005 to sampling Korma and Kheer and bagging culinary invites from Old Delhi’s most reputed, her Delhi sojourn has brightened Pamela’s Kismet. Sigh. 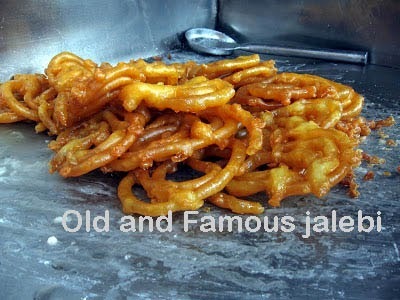 I miss the tastes of old Delhi! @Eco Mom: I hear you!